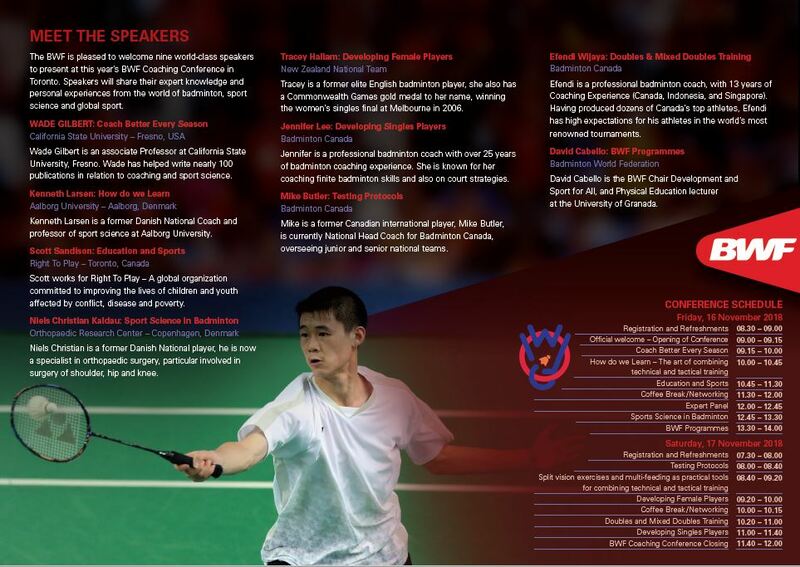 The BWF Coaching Conference will be conducted at Hilton Toronto Markham Suites and Markham Pan Am Centre on Friday, November 16 and Saturday, November 17, 2018. The programme is aimed at giving provincial, national and international coaches an opportunity to access the most up-to-date coaching methods and practices. The conference programme will provide the latest information about the art of coaching young athletes, including practical sessions and formal presentations. The BWF Coaching Conference programme continues the tradition of giving coaches at all levels access to some world-class coaches and experts within and outside our great game.